Business Worries? Make Sure Your Business Website is not one of them. Business Worries? What About Your Website? Your business website does not need to be one of the things on your list to worry about. There is always something to worry about when you are running a business. I always examine the worst case scenario when a problem comes up. I always have at least one contingency plan. We don’t need tweets or media reports to help us find things to worry about. Business leaders always have a problem to solve. In 2018, it is true that you need a business website to operate. But what if you needed to slow down website work because business is slow? What is necessary to spend money on? I want to encourage you to start to thinking about your business website before you are in the middle of a crisis. What Could Cost Us Money? The last thing you need is an unexpected bill caused by your company website . Security – Don’t skimp on security when business is tight. Malware that damages your website code could be an expensive unexpected problem. Make sure your code is up to date. Renew the fees for firewall programs or security monitoring service. Remember these services are a fixed cost. Cleaning up a malware infestation down the road is not. Content Updates – Make sure you have a plan to continue key content updates. What if prices change? What if your list of services needs to expand? What if parts or products are out-of- stock or delayed? Wrong information on the company website could cost your business money. Budget for these changes no matter what. What Would Prevent Us from Doing Business? If the website goes down, you can’t do business online. What are the necessary charges or renewals to keep your website up and running? Domain name renewals – If you can, renew for more than one year at at time while business is good. This will get you past a rough patch and its also good for your SEO. Hosting/Server Space – This is another annual bill that will needs paid. Before you find yourself in a business/website crisis, now may be a good time to review your hosting account. Make sure you have plenty of space available in your account. You don’t want to worry about your site going down when everything else is crazy. 3rd Party Services or Plugins – Do you have any extra products that are critical to your website? Or to your sales process? An example might be an appointment scheduling plugin or part of the shopping cart on your site. Figure out when their liscenses renew and prioritize those charges. What Website Projects Could Wait? Everyone starts the year with ambitious marketing ideas. If business slows, what could wait without de-railing your current website efforts? Re-design/New Theme – Stressful times are not the best moments to do something creative. As long as your website code is up-to-date, a new look could wait a little longer. Blogging Strategy – If time and resources are short, focus on your core service/product related content. A daily, weekly or monthly blog may be too much to take on right now. If the rest of your content is good, you site can survive a few weeks without a new blog. What Website Upgrades Could Actually Help the Bottom Line? More business will help anyone get past a crisis. What if your website is holding back those opportunities? If time, money and resources are short, what improvements would make a difference? Work on your forms. – Most website use online forms to generate leads. If you feel your web forms could be doing more, there are lots of tests and design best practices that can help. This is called “Conversion Optimization“. Resources spent on getting more leads from the website is easy to see in your bottom line. Google Requirements – You still need search traffic. In fact, you may feel like you could use a little more. Google has published a lot of website requirements this year. Make sure you have them covered so you don’t loose search position while your business focus is elsewhere. 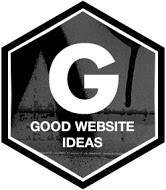 Make your site easier to use. – Sites that improve their speed or loading time also improve the number of leads from the site. Google says over half of web users visit your site on a mobile device. Mobile-friendly sites are easier to use. A site that is easier to use will get more traffic and more leads. Can I help ease your worries? I would be happy to have a conversation with you and discuss what really needs to be done with your business website. Sign-up for our Free Website Consultation and I will schedule a time to meet with you and hopefully ease some of your concerns. 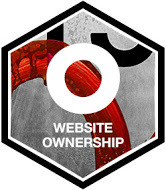 Take Leadership of your Business – Start with your website. Website Owners: “I don’t understand” is no excuse.